Your search results for "Inbound links"
Inbound marketing costs less than outbound marketing. And it works. The internet has empowered customers. It has provided customers with new methods for finding and researching companies. It has also provided customers with new methods for finding, researching, and buying products. The internet has changed marketing from a one way street to a two way street. Customers no longer rely solely on TV/newspaper/magazine ads, billboards, direct mail, email, banner ads, and other traditional outbound marketing channels to learn about new products. These methods are now viewed as too intrusive, especially among younger consumers who regularly tune out the tactics. A study conducted by the Corporate Executive Board’s (CEB) Marketing Leadership Council found that the average customer progresses nearly 60 percent of the way through the purchase decision-making process before engaging with a sales rep. How are they able to do this? By going online. Customers are using websites, blogs, and social media. A study by Pardot found that 72 percent of B2B buyers begin their research with Google. Other starting points for research: personal networks (15.58%), Yahoo (5.53%), Bing (2.76%), LinkedIn (2.51%) and social networks (2.01%). 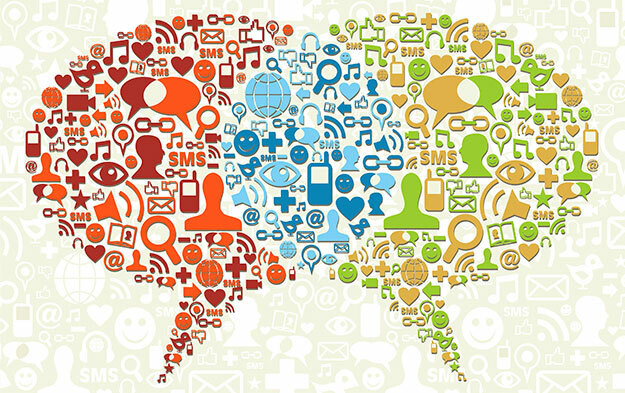 Inbound marketing focuses on consumers finding you. Inbound marketing meets your customers and prospects where they are, with the information for which they are looking, and at the right moment. Inbound marketing provides value, builds trust and authority, which ultimately result in increased leads and higher conversion rates. The components of inbound marketing are pretty simple: Create and distribute fresh, relevant, targeted content specifically designed to reach a target audience. In contrast, outbound marketing focuses on paying to broadcast your message to find consumers who will listen to you. Outbound marketing is a value-driven numbers game. The more banner ads, print ads, and direct mailings you pay for, the more people see your product, and the more sales you’ll make. However, it is costly. Outbound marketing costs 38% more than inbound marketing. The average cost per lead using outbound marketing is $373. The average cost per lead using inbound marketing is $143. Inbound marketing just makes sense. It is a proven methodology and it costs less. Isn’t it time to meet your customers where they are? Get online. Create content. Distribute content. Engage with customers. Optimize your website. Fronetics Strategic Advisors is a management consulting firm focused on strategy and inbound marketing. When it comes to inbound marketing we take a different approach than other firms. This is because of our business experience and background. 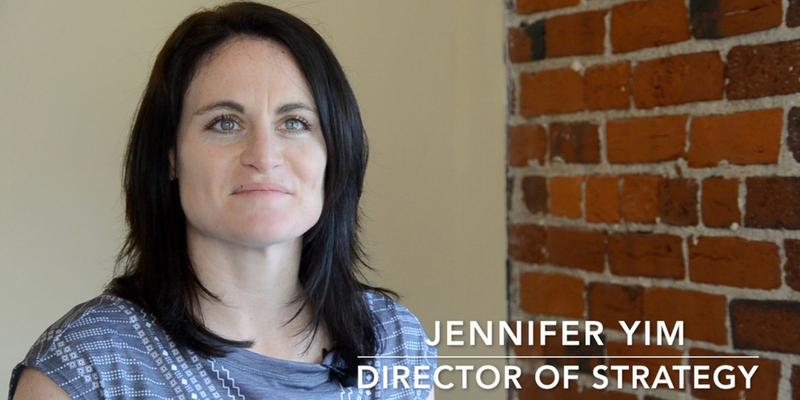 We know ROI is important, so our approach is data driven and produces results. We understand that developing and implementing an inbound marketing strategy can seem daunting. We are here to help. We are happy to take a few minutes and look at your current strategy and give you ideas on how to start, or suggestions on what you can do to make your current strategy more successful. We are also happy to talk with you about what we can do. We’d love to talk with you about how you can grow your business through inbound marketing. Think inbound marketing isn’t for the supply chain and logistics industries? Guess again. Here are 5 reasons companies in the supply chain and logistics industries need inbound marketing. Companies within the supply chain and logistics industries tend to disregard inbound marketing. The reason being they do not think inbound marketing will prove successful. The common objection is that prospects and customers for these industries are not online. The reality, however, is that inbound marketing can be wildly successful for companies within the supply chain and logistics industries. Address a project or a program being undertaken by their company. 2. 60% of the sales process takes place before they engage your sales rep. The average customer progresses nearly 60% of the way through the purchase decision-making process before engaging with a sales rep.
Before engaging with a sales rep, customers are turning to the internet and to social media for information. The 2014 UPS B2B Buyers Insight Study found that 68% percent of buyers research supply purchases via supplier website, and 52% use search engines. 3. You can present solutions to your prospects’ problems via social media and content. When prospects go online they are looking for information and for answers. By creating valuable content and leveraging social media you can attract and engage prospects, and convert these prospects to customers. 4. Inbound marketing is more effective than traditional marketing. 15% increase in top line revenue. 5. The proof is in the pudding. Freight logistics company Cerasis decided to make the switch from outbound marketing to inbound marketing. Within 25 months the company gained 98 new customers and increased revenue by 14%. 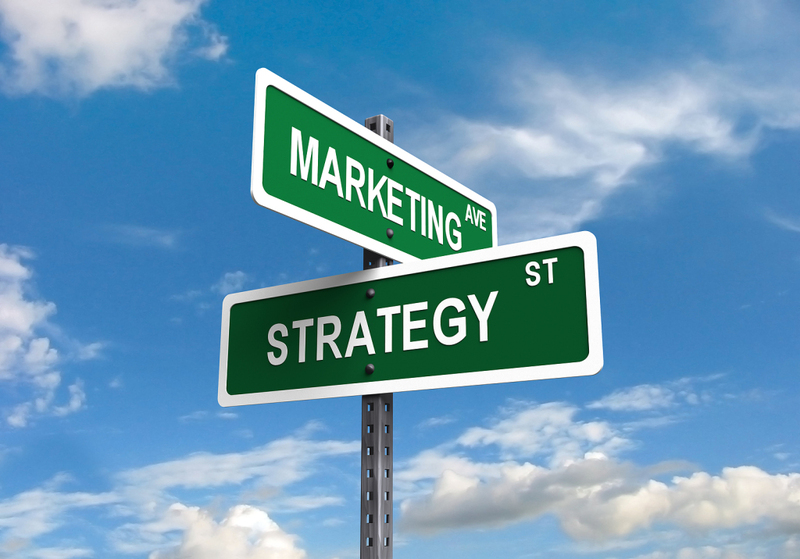 Fronetics Strategic Advisors is a management consulting firm with a focus on inbound marketing. We create and execute successful strategies for growth and value creation. Unlike other firms, our approach is data driven. We know ROI is important, so we track and measure results to drive success. Read about our approach to inbound marketing, or get in touch. In real estate sales, you want people to find your properties, like what they see, and ultimately be moved to purchase. In other words, you want to attract visitors, convert visitors to leads, and convert leads to deals. Innovative luxury real estate firms are finding ways to leverage digital tools to guide more buyers down that path to purchase. Without a doubt, luxury real estate buyers are a diverse bunch. “One day I have to know all about feng shui, and the next I have to be able to talk to a pig farmer from Iowa,” says one luxury real estate sales executive. “I’m like a chameleon.” And luxury buyers are trending even more heterogeneous – both geographically and demographically. What’s more, they are more connected than ever before due to the proliferation of digital technologies that enable buyers and properties to connect with one another in new and different ways. It’s clear that technology is a strategic way for properties to get in front of more potential buyers; moreover, it creates competitive opportunities for luxury real estate firms that are prepared to adapt to this new landscape. Many luxury real estate firms are already using digital and social media to carry the lifestyle brand they’ve built around their properties into the online world. With the use of inbound marketing – think of it as the intersection of valuable content, social media, and lead generation – they are creating new virtual “touch points” to connect with affluent, hyper-connected luxury buyers. What we know about luxury buyers is that they are likely to do purchasing research online; they are influenced by peers and their interactions with websites, mobile apps, and social networks. We also know that 93 percent of all online experiences begin with a search engine, and that 75 percent of searchers don’t move past the first page of search results. Through publishing relevant, quality content, inbound marketing gives luxury real estate marketers the tools needed to make certain their properties are being found online. According to Sprout Social’s Consumer Engagement Index, which ranks industries by which ones receive the most engagement from customers on social media, the real estate industry is second overall in terms of inbound engagement relative to audience size. But how exactly, are real estate firms using inbound marketing to sell luxury properties? The majority of real estate firms, through the use of social media and blogs, are seeking to draw visitors to a property’s website. Others are putting social media to use for functional purposes such as communicating real-time updates to potential buyers about project timelines or changes in sales office hours. Corcoran isn’t alone in their use of emergent technology and social media strategy to ensure maximum exposure for their luxury properties. Long & Foster’s Luxury Homes e-magazine showcases luxury properties through an extensive online campaign targeting luxury clients. The online campaign drives traffic to the e-book and the website. 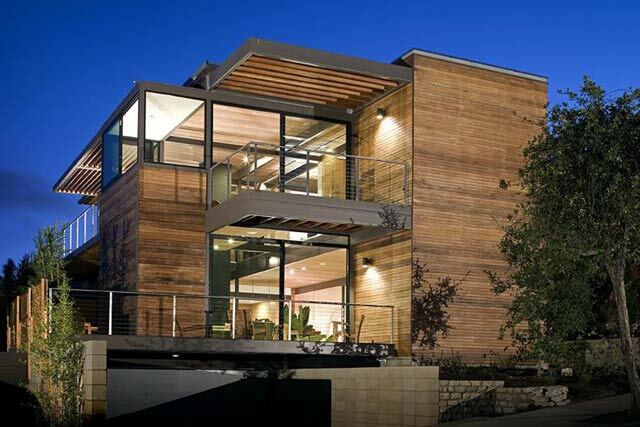 Similarly, residential homebuilder Polygon Homes currently connects their available luxury properties to over 6,000 people through a multitude of social media platforms. The company’s social followers are linked to relevant articles, outside press coverage, and traditional marketing resources that serve to build on the lifestyle brand of each property. Real estate firms are also recognizing value in blog content as way to attract visitors and nurture leads. 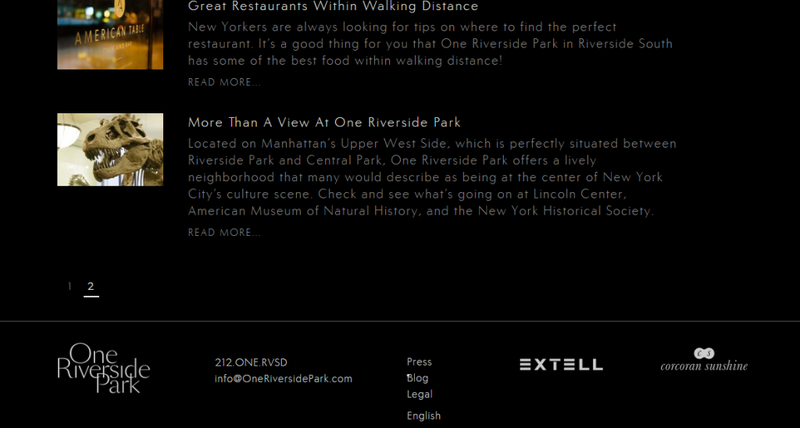 For example, One Riverside Park, a newly-constructed New York City building with luxury condo units for sale, uses their blog to highlight not only their property, but also additional relevant information such as neighborhood amenities, seasonal local weather, and area restaurants. Boston is experiencing a substantial upsurge in construction of high-end luxury residential units. The Boston Globe reports that “more than 8,000 luxury residential units are expected to be built in Boston during the next three years, doubling the supply of units built in large, luxury complexes since 1960.” And local real estate firms are using inbound marketing to sell those luxury units. Seventy percent of the luxury units at the 60-story Millennium Tower under construction in Boston’s Downtown Crossing neighborhood have been sold. Millennium Partners, the firm responsible for the marketing and sales of the luxury units, has embraced inbound marketing as part of their overall marketing strategy. The firm currently has over 13,500 likes from users on social media. 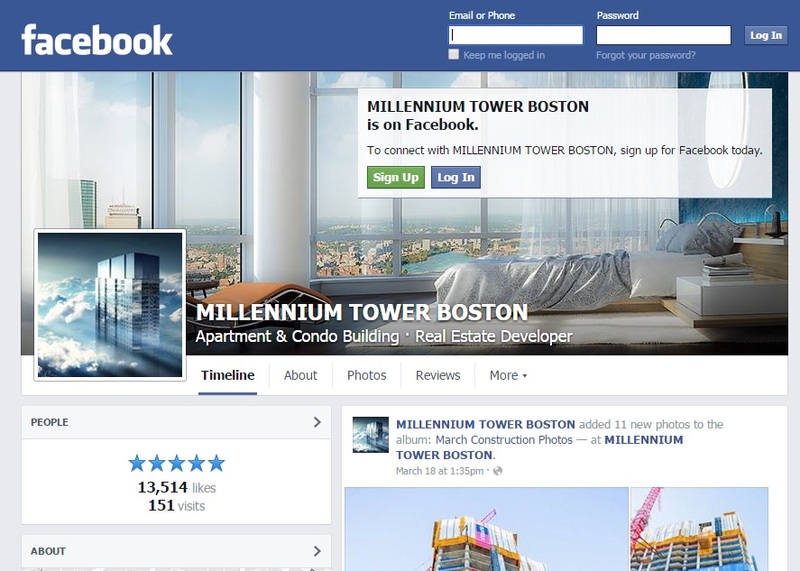 Millennium Tower’s Facebook page not only shares construction progress, sales information, and related press coverage, but neighborhood amenities, industry trends, and an array of visual content that’s more often than not shared widely by followers. Beyond increased prospect engagement and driving more traffic to their websites, other firms are using inbound marketing as a way to gauge market reception of traditional print marketing materials and the general perception of properties; knowing what resonates online through focus group-like participation is valuable information that marketers are finding bolster their offline marketing efforts. In that same vein, while real estate marketers are realizing value from creating and sharing content, they’re also recognizing the importance of analytics and measurement. Real estate marketers are using inbound marketing metrics to determine what type of content is inspiring current customers and pulling in new leads. These firms are looking at how their online numbers compare daily, weekly, and monthly and planning content accordingly. Specifically, they’re monitoring measurements like page views, video views, document views, content downloads, and social conversations. They’re examining how sales are impacted by social media and digital content by tracking metrics such as referrals from Facebook, Twitter, Pinterest. Knowing all of these metrics allows for a more nimble real estate marketing strategy– one that’s able to rapidly adapt and engage potential buyers in real-time. Inbound marketing is a new approach to an old strategy – one that’s putting real estate marketers in charge of the way potential buyers interact with their properties. These marketers are guiding prospects down the road of purchase through lead generation campaigns – capturing emails and other contact information through blog subscriptions and form completions for content downloads. They’re strengthening branding efforts for their properties by building robust online social communities and employing previously untapped sources of referrals. Real estate marketers who use inbound marketing are seeing their properties rank higher in search engine results pages, experiencing a steady increase in their website visitors, and increasing conversion rates of leads and sales. Taking into consideration the changing demographics and increased digital connectedness of luxury real estate buyers, firms that seek to broaden the reach of their marketing efforts through new and emergent technologies will aggressively position themselves as strong competitors in an increasingly competitive luxury property market. Inbound marketing is very different from traditional, or outbound, marketing. Inbound marketing focuses on creating quality content that attracts people to your company and product. By aligning the content you publish with your customer’s interests, you attract the right traffic – traffic that you can then convert, close, and delight over time. Outbound marketing, in contrast, uses methods including: buying ads, buying email lists, and cold calling. Strategy matters. 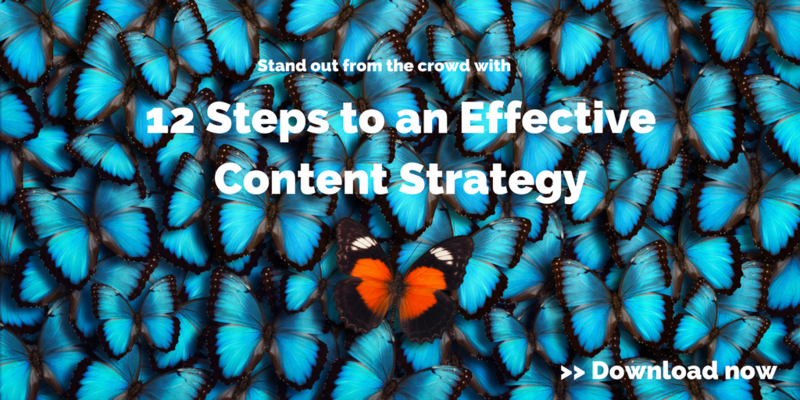 A 2014 study of B2B marketers found that companies who have a documented content strategy in place are more likely to consider their efforts to be effective than companies who do not have a documented strategy in place (60 percent vs. 11 percent). We work with our clients’ to develop a strategy that is right for their company. We then work with our clients’ to implement the strategy. If you are, like many other people, stretched for time and also struggle with strategy and execution, we can also talk to you about what Fronetics does and how we can help. We know some people prefer to do it themselves, and others prefer to outsource.